Welcome. Click on “Recent Posts” in the column on the right. With as much Patron Tequila that was served at the Gala, I am not sure if it was a night to remember or a night everyone is trying to remember. Wow. What an evening. Only in the Live Music Capital of the World can you attend a marathon Gala featuring 4 bands (Brooklym Lane, The Gourds, Delbert McClinton, Skyrocket) , dinner, auction, and a 6-hour open bar featuring only top-self liquors. Once again, our best friends turned out in casual attire but with very formal checkbooks. The final number isn’t in yet, but it appears we raised over $600,000. And for anyone who thinks the Paramount doesn’t have pull in Austin, the skies were blue and cloud-free when the event started. Backstage Delbert McClinton was all smiles and his wife was overheard telling one patron that this was the best gala-type event she had ever attended. We were sold out and running a waiting list. The crowd arrived promptly at 6PM and was greeted by the musical stylings of Brooklyn Lane and trays (and trays) of passed cocktails including Ultimat Martini’s and Patron Margaritas. I saw more than one patron with one of each! The dinner from the InterContinental Stephen F. Austin was beyond compare. 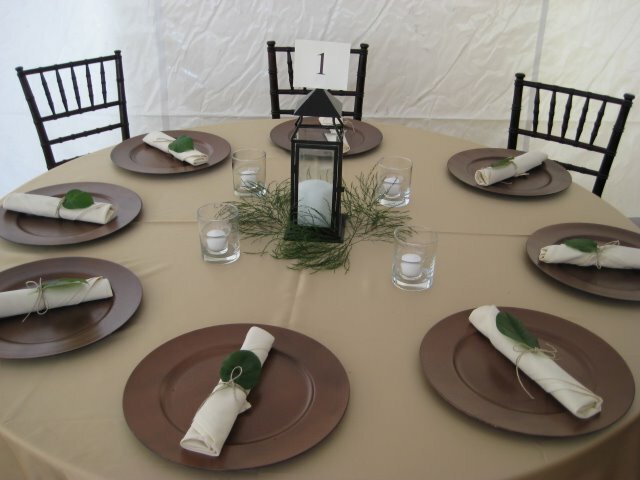 As I went from table to table checking on guests I was surprised to discover that we had satisfied everyone including a vegetarian, a gluten-free and even a vegan dieter all from the same buffet line. Honesty, if we had not shut down Skyrocket (dance band) at midnight, the party would have continued well into Sunday morning. The funds raised go to preservation efforts and outreach. At 94 years old, the Paramount needs constant TLC and it almost never involves something as simple as going to The Home Depot. And, I am very proud to say that last year over 12,000 children took part in our education and family programs where we are building a new generation of arts patrons. The dust is still settling but the number is quickly approaching $575,000. Wow. 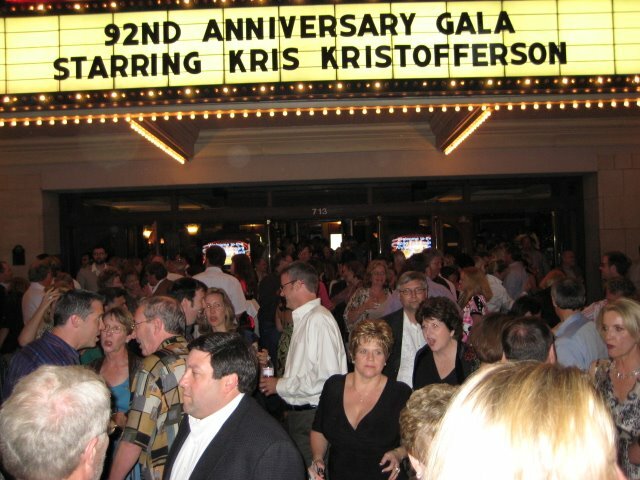 I am humbled by the community’s show of support for the Paramount. The evening was filled with many surprises. 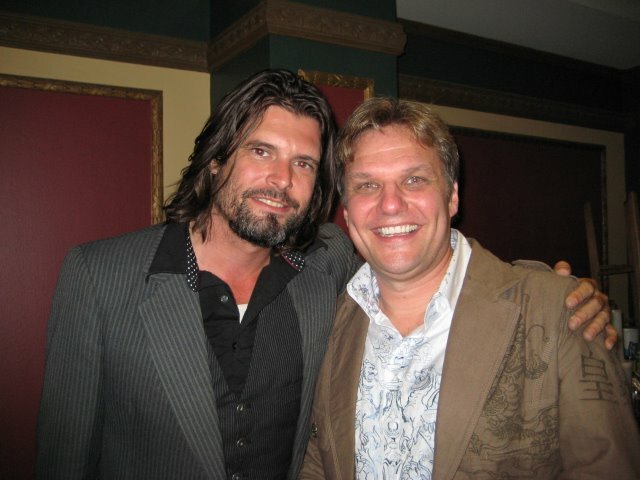 In fact, I had no idea that Will Sexton was to take the stage until… well, he took the stage with Idgy Vaughn. 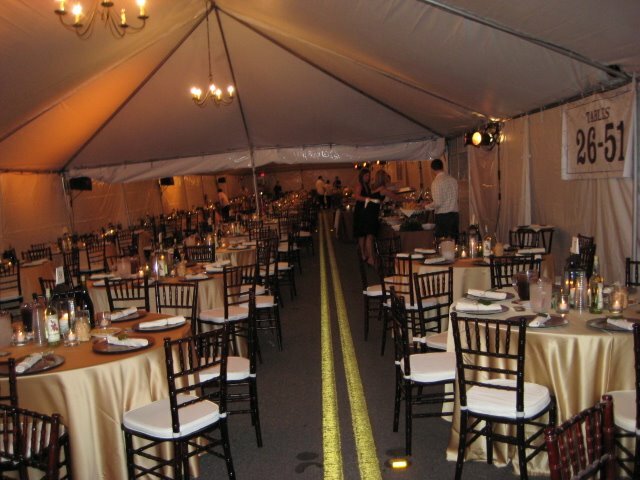 My favorite picture above is the one of the tent with the yellow lane lines reminding us that this all happened ON Congress Avenue. 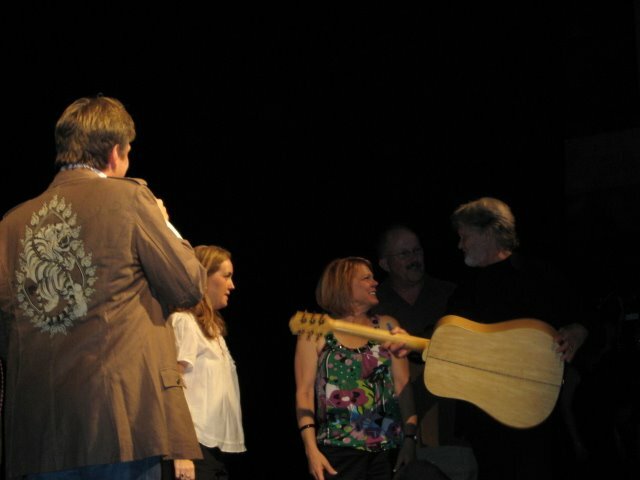 Oh, and that picture of Kris Kristofferson with the guitar winners… but mainly because I really liked my jacket! 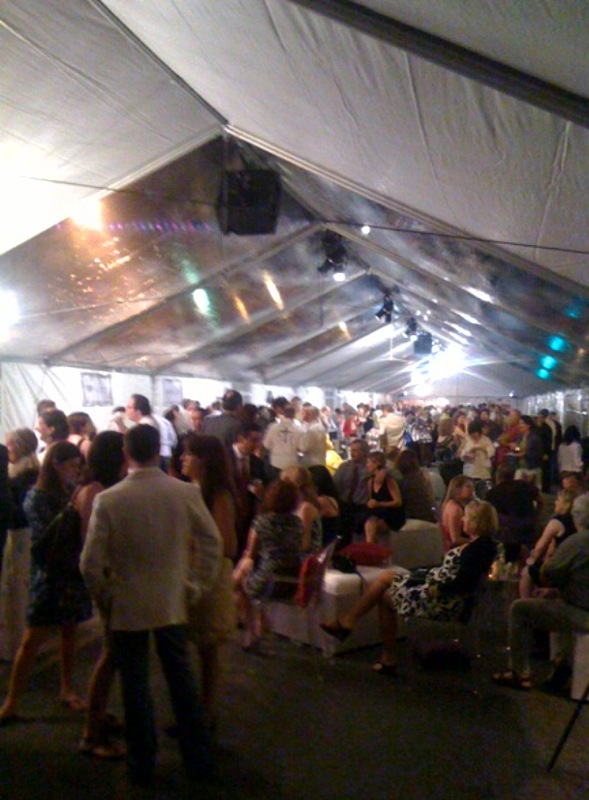 The tent was more than 2 football fields in length with over 20,000 square feet total. 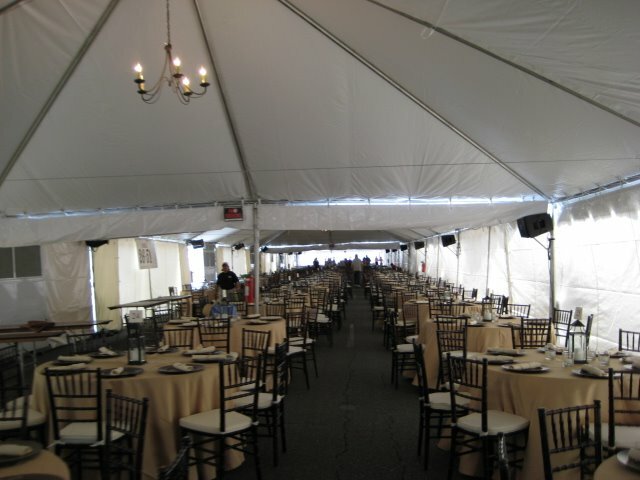 Dinner for 800. 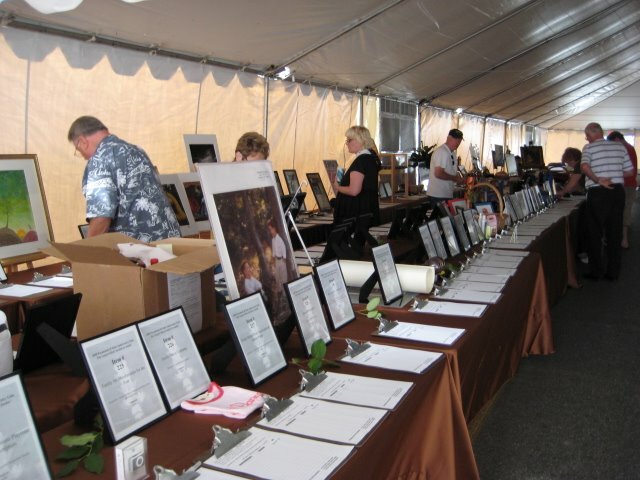 The auction featured over 270 items. Brooklyn Lane played on the street, Will Sexton and Idgy Vaughn opened, Kris Kristofferson was on the Paramount’s main stage. Dysfunkshun Junkshun played the tent.